​Congrats to the new owner on a super rare car. FACTORY MANUAL– an absolute rocket to drive. Upgraded factory optioned 4spd manual not std 3spd. 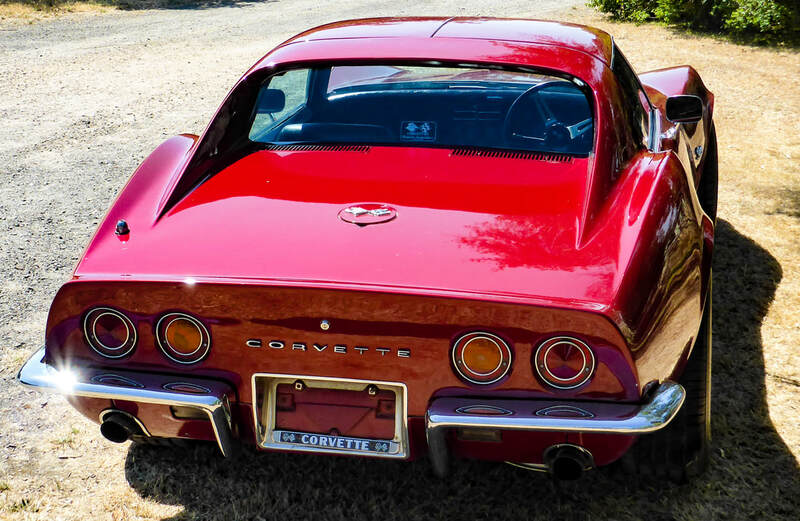 RIGHT HAND DRIVE– almost never find RHD in these early iconic corvettes. *SCARY QUICK TO DRIVE, its a beast! 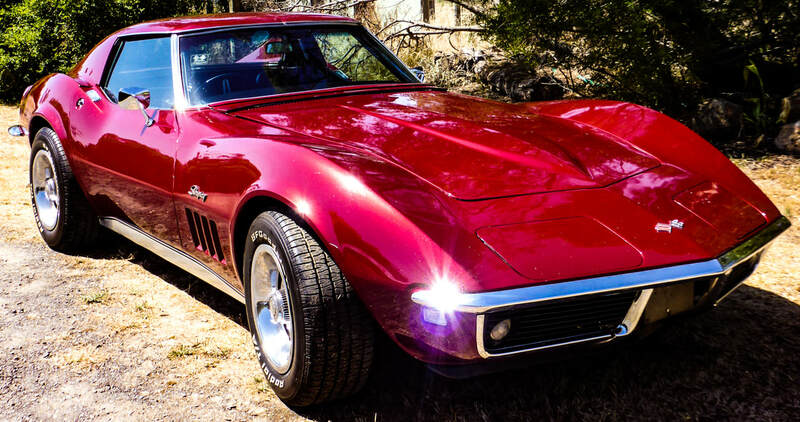 *VERY COLLECTIBLE HIGHLY OPTIONED, the FIRST YEAR OF RELEASE of the iconic C3 corvettes AND a sought after chrome bumper model only made for 4 years. *ORIGINAL RADIO, OWNERS MANUAL, full history/receipts etc. *EXCELLENT CONDITION MECHANICALLY Has been a much loved and cared for car with only a couple of long term owners. * Targa tops *Removable rear window unique to only a few years. * Fully Road registered until very recently. Regrettable sale and only priced so cheap for quick easy sale as I have to sell my going cars to fund my main project. All photos and videos taken at time of the advert. I am actually a very sedate driver who has never lost a point so this video is an exception. In fact this car is so quick, it needs a better driver than me to show this car to its potential. The phenomenal shape & style of the C3 is the most successful and popular of the corvette models and the chrome bumper stingray is the ultimate. 1968 is the first year the iconic C3 were released. There were only 28,000 made, and this car is at most one of only 6,500 just with one of its factory options the telescopic steering wheel. Less than an hour from Melbourne. This is an absolute dream to drive. Its scary quick and is a real beast. STARTS EVERY TIME, FIRST TIME. Holley Avenger 670 4 barrel carby, Edelbrock alloy manifold intake with new extractors and new mild cam. TONNES OF GRUNT - awesome take off acceleration. Cruises really smooth, just purrs along. No leaks at all that I have seen. I cannot read the engine number so I cannot say what engine is, but this car is priced cheap as a great daily driver, manual, RHD, chrome bumper to drive! not as a full original or showcar. Brakes work awesome — Front and Rear Disc Brakes. New Master cylinder, callipers and brake pads - since new have not done many miles. ​TYRES– 4 Near new tyres 235 front, 245 rear. Original Rally Chevrolet Rims. Rims excellent cond. C3 Corvette Stingrays are remowned for reliability and also easy to get parts for. 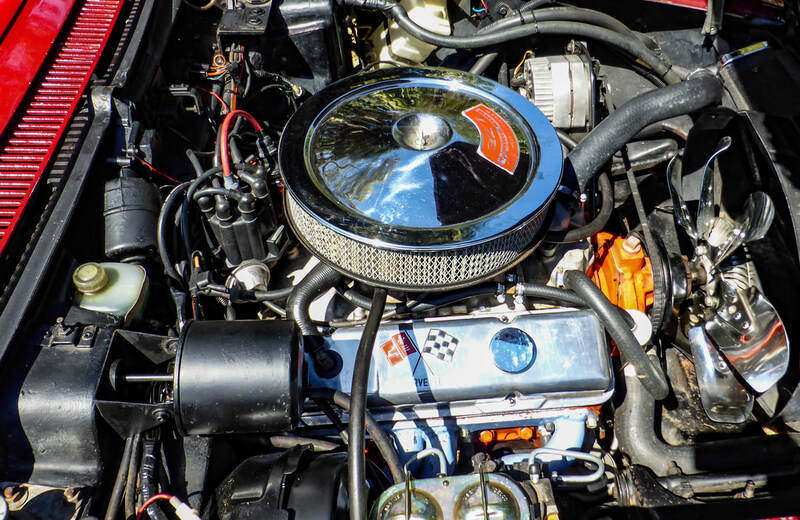 These chevs are considered virtually indestructible and are so reliable. I have owned a few now and can only agree with this having never had issues with any of them. Dual front pop up headlights– both go down at switch, both go up manually but the extra cam has reduced vacuum so be better with electric motor to pop up. Chrome is all in lovely condition. Quality paint job with great finish and looks superb a few metres away, still in great condition with no fading but does have very large number of small chips. It is not a show car but still makes an amazing impression as a daily driver or club car. 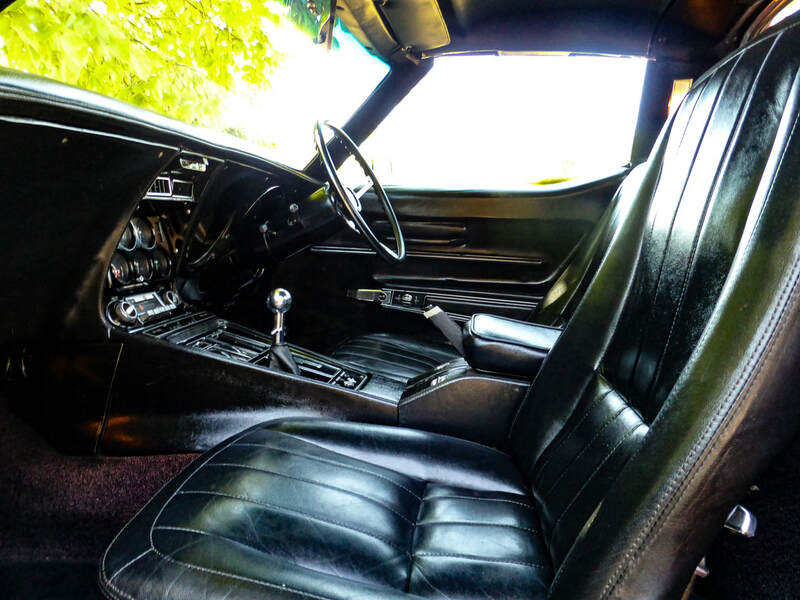 *LUXURY LEATHER seats, look awesome and are super comfortable. One small split and tiny hole is only damage, otherwise have just normal age changes but are still soft and look great. *Targa Tops in excellent condition and very easy to remove or put in. *Headlining/sunvisors, dash etc in excellent condition. Carpet in excellent condition with only some areas mild color fading. Door cards and lining look great with lovely chrome details and chrome corvette emblem handles. Couple small trim repairs not very noticeable. *Original Corvette Radio that works - rare to ever find these. No aerial at present. 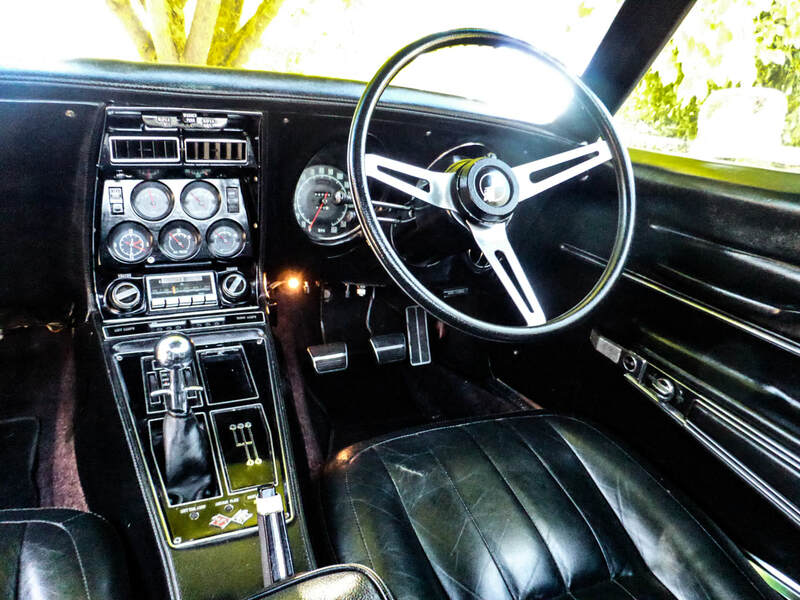 *Original Corvette Tilt AND Telescopic Steering Wheel. *Large storage area behind seats all carpeted, with parcel shelf and in excellent condition with extra 3 built in storage compartments accessible from front seats, one lockable. *A/C switch but not sure how many components present. No compressor. NOTHING TO DO FOR REGO that I am aware of except an electric motor for pop up lights. All lights, indicators etc working. *Fully Road registered in Australia until very recently (only expired 2 months ago) so will not need anything to register it other than usual RWC . Original 1968 Corvette Owners Manual and also a recent reprint copy. Original Assembly Instruction Manual for 1968 Corvette including technical bulletins. Receipts and history since imported in Australia 1989. Two known previous long term owners in Australia, one for 10 years, one for about 20years. This has been a much loved and cared for vehicle. This is totally brilliant car and almost impossible to find another in this combination. It is only for sale as I have too many other projects I have to fund. Less than 1hr from Melbourne CBD and Tullamarine airport. Sorry we are hard to catch but pls leave message and will return call asap. **Please inspect the car before purchase as although I have tried to describe the vehicle as accurately as I can I am not a mechanic. Also this is just my opinion of the car and opinions can vary so please inspect the car before purchase to ensure it is what you expect. All mechanical inspections welcome. Lmct 11816 sorry I am not open to the public, I am a collector that has too many cars.